Enjoy the beautiful setting and great location of this beautiful cabin! Just 3 miles from Deadwood and 9 miles from Sturgis it`s the perfect vacation cabin. Paved roads to the cabin and plenty of parking. 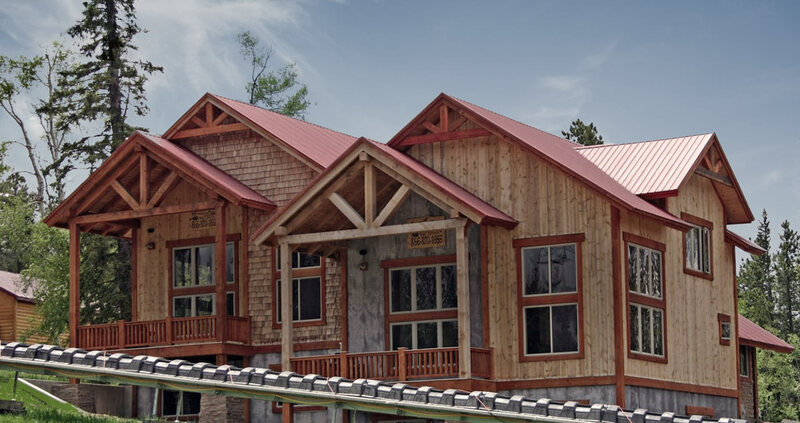 This plush, 3-level lodge has everything your group needs for a wonderful Black Hills Vacation. The main level has an open, spacious living, dining and kitchen area with a wood burning fireplace, flat screen TV, full service kitchen with dishwasher, dining table and island that will seat 10. More seating in the lower level game room. The main level has 2 bedrooms, both with queen size beds and a full bathroom with tub/shower combo. You will also find a walkout to the wrap around deck with seating and gas BBQ Grill. The upstairs level of the cabin has a large master bedroom with 4-post, queen size bed and a full bath with tub/shower combo. There is also an open loft area with futon couch and chair that also folds down to a twin size bed. The Walkout basement has a foosball table, poker table, flat screen TV and small bar area in the family room. The lower level also has 2 more bedrooms with queen size beds, a full bathroom with tub/shower combo and a laundry room with washer and dryer for your convenience. Walkout the lower level to a peaceful, private setting with seating and an 8-man hot tub. Cabin sleeps 13 in beds. **THIS PROPERTY IS IN A RESIDENTIAL AREA AND THE QUIET HOURS ARE STRICTLY ENFORCED. THIS IS NOT A PARTY HOUSE.